If you have internet access and eyes, you’ve probably seen the amazing #TheoandBeau photographs. What you may not know is that they were taken by my friend Jessica Shyba– under my guidance and supervision. And exaggeration. I really encourage you to click over to look at the beautiful pictures of Jessica’s son, Beau, napping with their puppy, Theo. It will make you want to get a baby and a puppy. Or at least a camera. Sadly, I have none of those things. 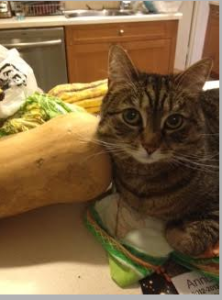 But I do have a cat, some CSA-vegetables and an iPhone 4S camera, so I’m doing the best I can, people. Seasonal! And I wouldn’t be surprised if Theo and Beau suddenly start napping with squash. 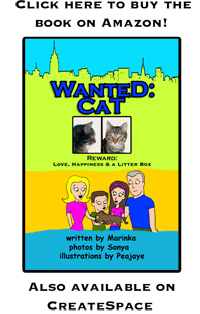 With the holiday season around the corner, have you gotten all your loved ones a copy of Wanted Cat? 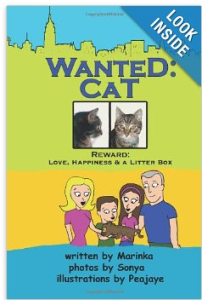 It’s a heartwarming book about one family’s search for the perfect cat. I wrote it, Peajaye illustrated it and my daughter took the photographs. What’s not to like? Make sure to get a copy for all your disliked ones too, but give it to them ironically.